All too frequently studies of the gifts of the Spirit consist largely of answering two questions: “What are the gifts?” and “Which ones do I have?” In many cases studies go on to a third question: “How can I get more?” In response, institutional churches and theologically and intellectually respectable Christians often tend to avoid the work of the Holy Spirit in the church entirely. It's much easier to simply close the doors and windows than it is to deal with the wind (John 3:8). After all, they've seen the wind blow out the candles, disarrange the altar vestments, and send a chill through the congregants. Author, pastor, and church historian Bob Cornwall has experienced all of this for himself. He has seen traditional churches and worship. He has seen Pentecostal worship. He has led congregations in difficult times. For more than 30 years, he has studied, practiced, prayed, and lived the work of the Holy Spirit in the church. 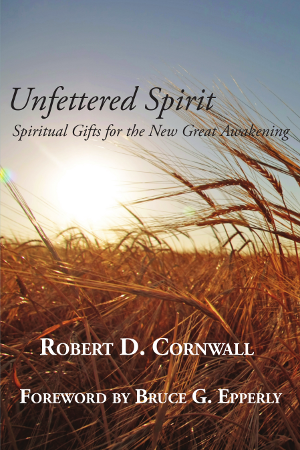 The result is Unfettered Spirit: Spiritual Gifts for the New Great Awakening. 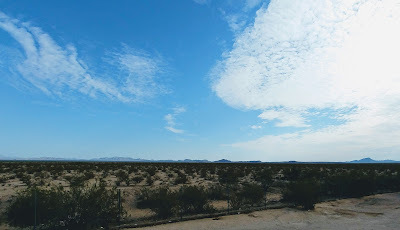 Here he avoids both the errors of replacing the freedom of the Spirit with human whim and of trying to tame or confine the Spirit that will not be fettered. In Unfettered Spirit, Dr. Robert D. Cornwall roots through the fertile soil of his traditions and unearths the gifts that it has to offer. He then sets the table for Progressive Christians, and gives us the nourishment that we need to move into a New Great Awakening. Throughout the pages of Unfettered Spirit, Dr. Cornwall hosts this banquet with the knowledge of a well-read academic and the wisdom of a seasoned pastor. So, whether you are a Pentecostal, an evangelical, a mainliner, a progressive, or any other label you might find for yourself or your church, you will profit from reading this book.